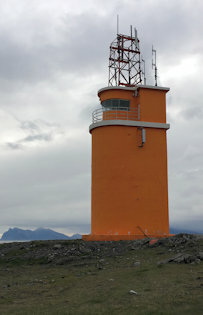 The Hvalnes lighthouse and communi-cation tower stand sentry on the prominent Austerhorn cape, one of two that mark the southeastern corner of Iceland. Bring up the topic of net energy metering at any social gathering and you’re bound to witness an oft-heated discussion. NEM advocates cite increased renewable generation, public health benefits, reduced need for central station power, and increased grid security through distributed energy resource (DER) installations (almost exclusively from customer-owned rooftop solar photovoltaic installations). Opponents cite how NEM customers receive unfair compensation for their generation compared to larger power producers, shift transmission and distribution costs to non-NEM customers (with the added T&D upgrade costs that DERs ultimately require), and create reliability issues for system operators who must carefully integrate this daytime PV generation. I relay one such conversation in my blog post, Net Energy Meeting — An Honest Story (and companion position paper). I found the conversation insightful; perhaps you will too. In a nutshell, NEM allows customers who generate small amounts of electricity to be paid retail rates for extra power sent to the grid. Minnesota is generally credited with passing the first NEM law in 1982. Within 15 years, 21 additional states adopted the program. By 2005, all utilities were required to offer NEM. In essence, NEM began when rooftop solar was a nascent technology, and installations were few and far between. Today, however, with advances in PV technology coupled with generous state and federal tax credits, this DER represents about 2% of total generation nationwide (compared to 1.2% for large-scale solar PV installations). These numbers can be deceiving; in some jurisdictions, DER penetration is extraordinary. For example, DERs comprise approximately 16% of the generating mix of the Hawaiian Electric Companies. Currently, only three states (Alabama, Tennessee, and South Dakota) do not offer NEM compensation. Of the rest, 38 states (down from 43 in 2014) plus the District of Columbia have NEM policies, two have utilities that offer NEM voluntarily, and seven compensate DERs by means other than NEM. Is the once-stolid political will around NEM eroding? Even with this slight softening in NEM laws, DERs continue to experience an annual 20% growth. When stakeholders attend your public meetings, they are coming to be informed, not educated. Let’s look at the fundamental different between the two. When you educate, you dictate the content of the information; your audience is expected to accept that information as fact. While there might be some discussion, your point of view is the one that holds sway. On the other hand, when you inform, you impart information; your audience receives it on their own terms. And that makes all the difference. Even if your audience accepts your information as fact, they have done it on their own. Emotions shouldn’t enter into the conversation, as that only portends to a partisan perspective and causes your stakeholders to disengage. Rather, try being somewhat malleable in your perspective, willing to engage in repartee that, when conducted in an open and honest manner, creates a bond between you both. And that’s the ultimate goal.